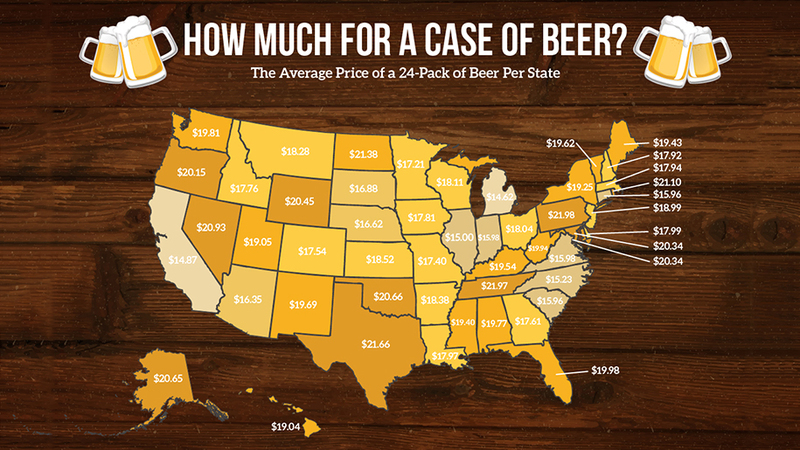 See what your fellow Americans are paying for a 24-pack of beer. If you’re planning a barbecue or pool party this summer, chances are you will be stopping at the store for a case of beer. It’s one of those necessities of the season, difficult to avoid if you’re a party-goer or would-be generous host. But if you’ve ever wondered how much you’re paying for that 24-pack of beer that other people will inevitably end up drinking, leaving you perhaps one or two cold ones in the back of the fridge, you’ll want to see this graphic. 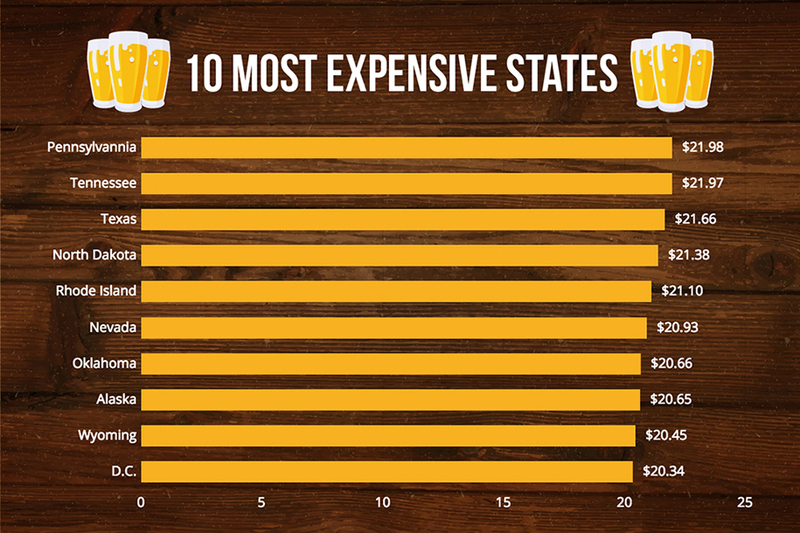 Created by the folks at Simply Thrifty Living, the graphic lays out the average price of a 24-pack of beer in every state, and then breaks down the most and least expensive states to buy them. To calculate their average prices, Simply Thrifty Living looked at how much cases of 12-ounce beers cost at two national retailers, Total Wine and Walmart. Researchers pulled prices from ten stores in each state, each one from a different zip-code, to make sure they were getting a wide range of numbers. Oh, andno fancy craft beers here: Simply Thrifty Living only looked at packs of Bud Light and Miller Lite, two of the most popular, or at least the most well-known, domestic beers in the country. At our headquarters here in New York, the 24-pack is just about $19. Not too bad. Compare that price to Michigan where the same thing is just $14.62, which seems exceptionally cheap by comparison. 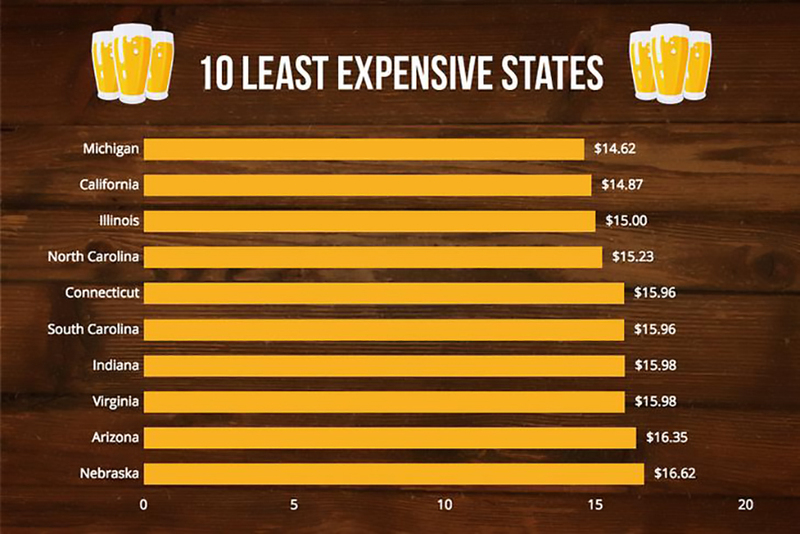 California and Illinois are also surprisingly low on the scale, hovering around $15. Fortunately, when it comes to beer, America doesn’t overcharge too much: The highest the average price is just below $22 in Pennsylvania, where a 24-pack costs $21.98. Prices in Texas and Tennessee are in the same range. Now that you know how beer prices in your state stack up to those around the country, you probably won’t be likely to stop buying beer, even if you think you’re being overcharged. Still, it's good information to keep in mind next time you go on vacation. After all, beer is required at parties just about everywhere.